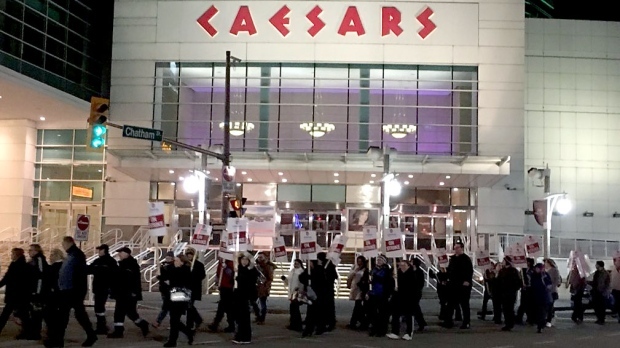 Employees of Caesar’s Windsor Hotel & Casino in Ontario have now dismissed the second contract deal as the casino postpones concerts again because of the strike. The union of Caesar’s Windsor workers reports a slight majority of workers (53 percent) opposed the new deal. This, therefore, means the strike will continue for the better part of the week. Kevin Laforet, the regional president of Caesar’s entertainment, expressed his disappointment on the result of the vote. He added it was really unfortunate for the workers to reject the offer. The poll, which was endorsed by the Local 444 bargaining teams and Unifor National’s officials, extends the strike. It has become the longest in the casino’s history. 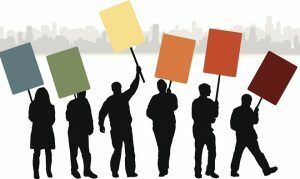 Officials from both sides stayed up until 2 a.m. to reach the tentative deal, only to have it rejected later in the day. The rejected deal, which is an improvement of the first, included a $2.25 wage increase for four years and signing bonuses of $1,200 and $1,600 for both part-time and full-time employees, respectively. The deal also included new retirement benefits. On short notice, workers had already started to gather at the WFCU center for the approval poll. Votes were tallied the same day, and the end result was disappointing for the casino. Erlinda Roque was utterly disappointed and was visibly angry the workers had rejected the offer. Earlier, a total of about 2,100 workers had walked off the first deal, which included an increase in wages, pension contribution increments, signing bonuses, and improved security for restaurant employees. According to the union, working conditions and wages were the key factors to the workers downing their tools and remaining on strike. Dave Cassidy, the incoming local president, didn’t see it coming either. He admitted he expected to see a different result from what was shown, considering what he told the workers before the voting began. Cassidy begged the workers to accept the new deal. In his speech, he stated his team had “squeezed the washcloth” to a maximum and he was satisfied the workers couldn’t get a better deal from Windsor. Unfortunately, the workers thought otherwise. Cassidy also admitted it was tough to convince the workers to call off the strike. But, he wouldn’t give up. He would convene a meeting with his team and discuss what had happened and what the next step would be. On the other hand, Laforet believed the agreement was more than fair and sustainable for both parties. He took the platform to thank customers for their patience and loyalty. He also apologized for the inconvenience caused during the ongoing strike. Laforet added the loss experienced by the casino goes beyond revenue and it would be hard to recover. At the time of this article, Laforet wasn’t aware of any plans to go back to the bargaining table. Some upcoming concerts and hotel reservations were canceled as a result of this vote. Blink-182, which was earlier planned for June 2. Russell Peters, which had been scheduled for June 15. Cole Swindell, which had been scheduled for June 16. All these concerts have now been rescheduled for later dates, which have yet to be confirmed by the casino. The casino officials said ticket holders could seek a refund or use the same tickets for the new dates once the labor issue is resolved. As for the hotel reservations, the casino was contacting its guests to let them know. This is the second time the casino has canceled reservations and rescheduled concerts since the strike started.